The Midwest Clown Association's 42nd Annual Roundup is happening this weekend. MERRILLVILLE, Ind. 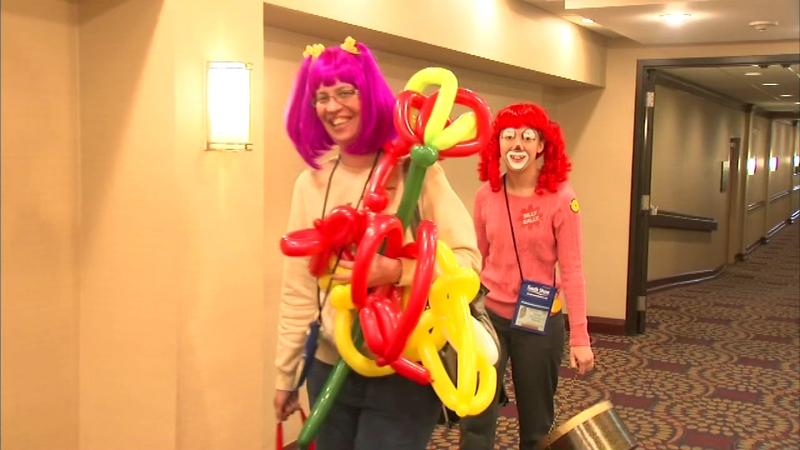 (WLS) -- There will be a lot of clowning around in Merrillville, Ind., this weekend. About 150 clowns are in town for the Midwest Clown Association's 42nd Annual Roundup, which will feature clown classes and competitions, such as one for make-up and skits. The convention runs through Sunday.